I received an unusual email this week. I hope I have located the correct Philip Wadler. The person I'm looking for went to Cupertino High School. If that's not you, please tell me of my error. If you did go to Cupertino High School, please read on. In late 1973, you gave me a booklet entitled "My Computer Understands Me* (*when I speak in BASIC)". 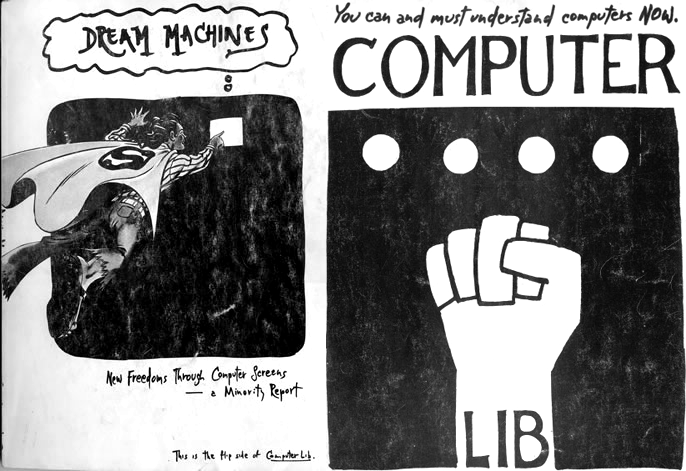 This booklet was the starting point for transforming me (very quickly) from a student who was really good at math but didn't know what he wanted to do, into a guy who was sure he wanted to work with computers. That became my career, and it worked out pretty well. Thank You. Yes, you've found the right Wadler. I'm lucky to have an unusual last name, it makes me easy to locate. Thank you for your note, which made my day. It's a significant part of my career to turn young people onto computing, but I had no idea I had started so early. What are you doing now? I assume you've found my web page, which will give you an idea of what I am up to. I would like to post your note to my blog, if I may have your permission? It's not often we get a chance to make a difference. How nice to learn after so many years that, whether by insight or luck or a combination of the two, I helped someone. 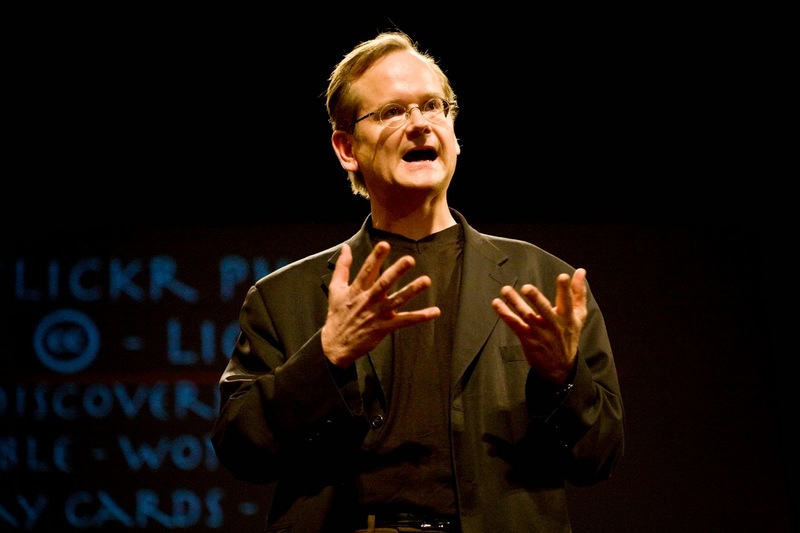 A short, inventively presented, video from Lawrence Lessig, making the case that before we can solve all the other problems in the US, the first problem we must solve is to take big money out of politics, and how we can do it via Mayday. SNAPL, taking place 3-6 May in Asilomar, now has a publisher. Proceedings will appear in the LIPIcs series published by Dagstuhl. Five pages in ACM style is about eight pages in LIPIcs style, so the SNAPL call for papers has changed the paper length accordingly. Reading the conclusion of my friend Maurice Naftalin's new book on Java 8 brought home to me the extent to which Functional Programming is, indeed, the new black. You can read it here. Maurice Naftalin, Mastering Lambdas (Conclusion), McGraw-Hill, 2014. 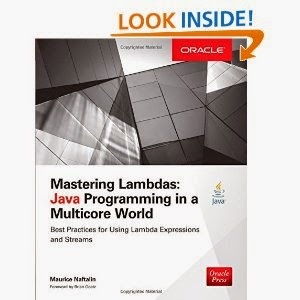 Other links: Java 8 Lambda FAQ, Mastering Lambdas.